Here are some of the remaining birthday cards. I tried to copy some of the same concepts as I used on the Batman card, buuuut, I don’t really know if the results are comparable. I like these cards, but they are a little less organized than I was expecting them to be. they match some of the the doodle I drew at the same time–crazy. 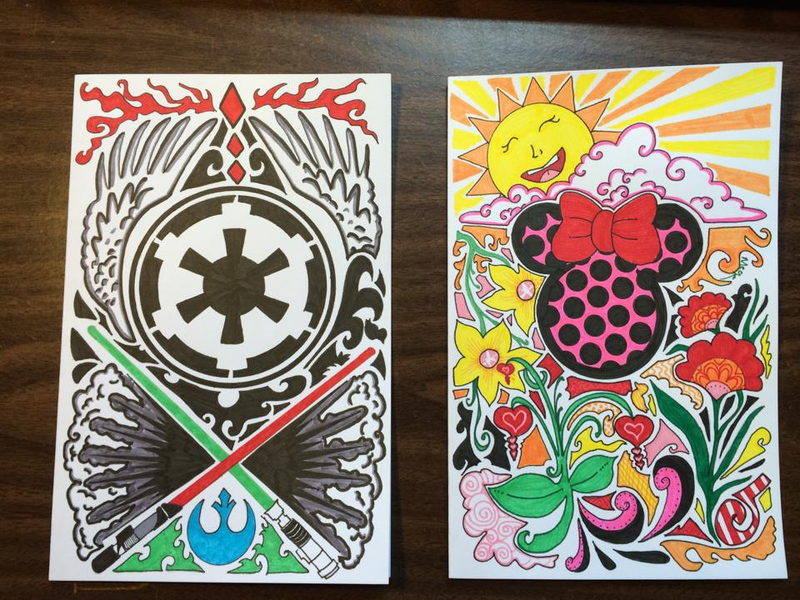 Star Wars and Minnie Mouse. They have lots in common these days. You might notice that I tried to recreate Darth Vader and Luke Skywalker’s light sabers. MrE thought the faceless Minnie Mouse was creepy, but I think the manic sun makes up for it. 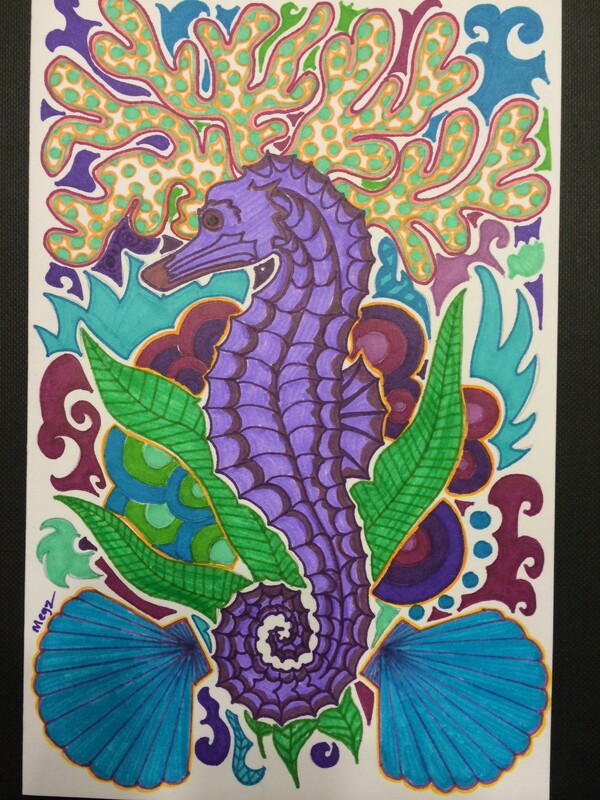 This year, my niece Cora turned nine, and my mom had a ocean-themed gift, so I got on board with a purple sea horse. Purple is pretty much Cora’s favorite color ever, for now. The coral is much more detailed than any other birthday card I’ve drawn yet. The jury is still out on it. That’s some crazy coral going on and three lonely, inaccurately drawn kelp leaves. This card is extremely vibrant in real life. I think I need to invest in some kind of light filter to take pictures of my work with.